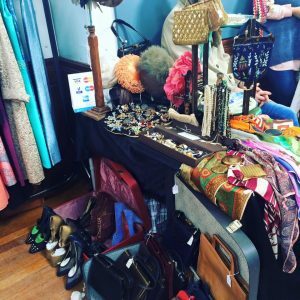 About Us - Just Vintage Clothing Co.
Just Vintage Clothing Co. is a fairly recent venture, but the team here are all love vintage. We have been involved in vintage clothing, one way or another, for as long as we care to remember. The owner of the business, Gemma, did a work placement at Kerry Taylor Auction house back in 2008 and has since worked for a few vintage clothing companies based in the south east. It was not until an opportunity came up that she considered setting up her own vintage clothing business. Unsurprisingly her love of vintage keep growing. As a team we now sell via Etsy and attend a selection of vintage fairs. Please see our upcoming events on our facebook page.